The Federal Bureau of Investigation (FBI) worked with Israeli mobile forensic firm Cellebrite to unlock iPhone used in the San Bernardino shooting last year, confirmed by multiple sources familiar with the matter. The United States Department of Justice (DoJ) said on Tuesday that the FBI successfully unlocked iPhone and accessed data with the help of an undisclosed alternative method offered by a third party and that it no longer needs Apple's assistance. Apple was engaged in a legal encryption battle with the DoJ for a month over a court order that forces the company to write new software, which could disable passcode protection on Farook's iPhone 5C to help them access data on it. Apple refused to comply with the order, saying the FBI wants the company to create the "software equivalent of cancer" that would likely threaten the privacy and data security of millions of its iPhone users. Although the legal battle between the FBI and Apple is over, the 'encryption vs. national security' drama is still ongoing. Apple asked the FBI to share its exploit that bypassed the iPhone security protections, but the agency, which has already been frustrated in convincing Apple to help it access data on just one iPhone, might prefer to keep its technique secret. Now, when the FBI itself owns a cancerous software, the agency would most likely use it to resolve several pending court cases in which the Feds were seeking Apple's assistance to access information from a locked iPhone. 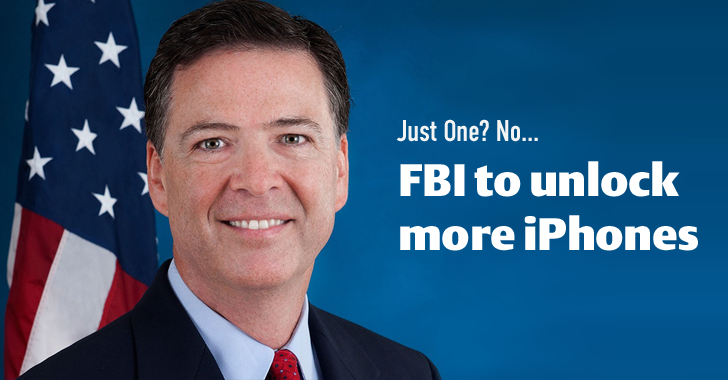 Yes, the FBI is keeping its technique secret… but only from Apple and not from other law enforcement agencies seeking details on the method to access locked iPhones involved in criminal cases. Currently, there are two separate court cases, one in Arkansas and the other in Brooklyn, seeking help from the FBI. Case 1: Reportedly, the FBI agreed to help the Police in Arkansas in the homicide case by unlocking an iPhone and iPod belonging to two teens accused of killing a couple. Case 2: In the Brooklyn case, an iPhone 5S was seized in the course of a drug investigation, which runs iOS 7. The DoJ will disclose by April 11 as to whether it would "modify" its own request for Apple's assistance in this case or will unlock itself. It's still a question, but since the agency so desperately wanted an iPhone backdoor, it seems that it will not share with Apple after having one. Apple is now in the uncomfortable position as the company knows that a critical vulnerability exists in its operating system, but don't know what it is. The situation becomes serious for Apple where the company knows the FBI has no legal obligation to disclose how it broke the iPhone's security. However, the government could argue the technique is bound by a non-disclosure agreement with the third party that unlocked the iPhone. Though it's not just Apple who had been approached several times to help Feds unlock iPhone, Google had also been asked, at least, nine times to help federal agencies hack into locked Android smartphone citing the All Writs Act.